As an established and trusted provider of dental implants in Capitol Heights, we take pride in offering the most accurate and comprehensive information about these procedures for our valued customers. Our team of professionals can provide you with affordable dental implants that can serve as the foundation for replacement teeth, crowns, and bridges. These permanent dental implants are designed to provide a secure anchor point for additional work in the future. Endosteal implants are inserted directly into a small hole your dentist will drill in your jaw. The bone will then be allowed to grow around the endosteal dental implants to provide the most solid support for future dental work. If the bone structure of the jaw does not allow for direct attachment, subperiosteal implants can be used to provide similar attachment points for crowns and bridges. These dental implants are placed carefully into gum tissue under the surface of the skin. As scar tissue forms, it holds the subperiosteal implants in place to provide a point of attachment for replacement teeth and crowns. After your dental implants procedure, you can usually expect a waiting period of a few months before your crowns or bridges can be placed. This delay is necessary to allow your gums to heal and to ensure that your dental implants are securely positioned and ready to support these replacements for your natural teeth. What Kind of Dental Implants Insurance Is Available? 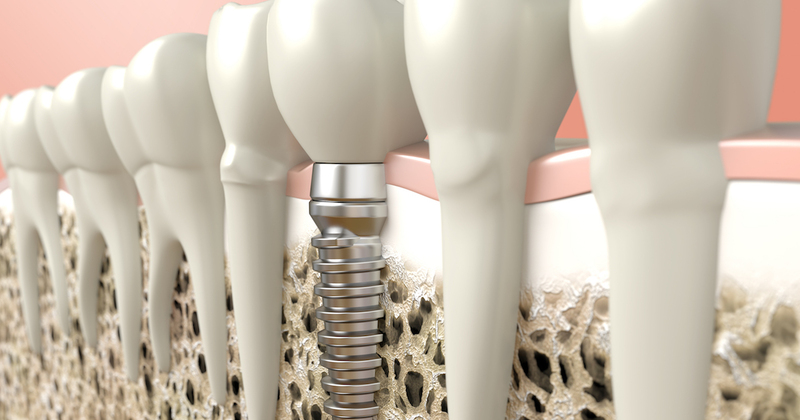 If you are like many of our patients, the dental implants cost is a serious concern for you. As the leading source for dental implants in Capitol Heights, we have built our reputation on delivering affordable dental implants and innovative payment plans for our valued patients. Our team of administrators will work with your dental plan provider to determine what dental implants insurance coverage is available for your procedure. We can help you manage issues with dental implants cost to help you enjoy the benefits of these advanced procedures for yourself and your family. Concerns about your cost of dental implants with insurance can be alleviated. First, our skilled and experienced dentists will evaluate the condition of your teeth and the bone structures of your jaw to determine which type of implant will best suit your needs. We will then schedule your surgical procedure and place your dental implants into your jaw or under your gums. Any mild dental implant procedure pain felt can be treated with pain relievers. After this step, you will usually need to wait for several months to determine if your dental implants have seated correctly and are ready to support other dental appliances. 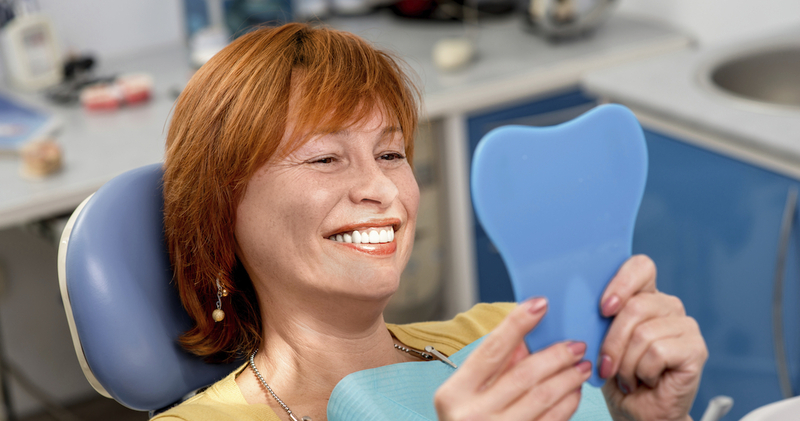 When your dental implants have had sufficient time to attach firmly into your jaw or gums, your dentist will position your replacement crowns or bridges to fill gaps in your smile and to restore a healthy bite. Your dental implants procedure may take between six months to a year from start to finish. By working with our experienced dental staff during this process of dental implants, you can ensure the best possible outcomes for your teeth. Dental implants benefits include improved strength of surrounding teeth to reduced risk of additional tooth loss in the future. Additionally, the improved comfort and increased pride in your appearance offered by dental implants can provide a real boost for your social interactions. These durable dental appliances can help you look and feel your best every day. Your dentist will provide you with detailed instructions on dental implant care after surgery. You may be asked to avoid the area of your dental implants when brushing, flossing, and chewing. Once the incisions have healed, however, you can typically return to your normal dental hygiene routine after dental implants surgery. During your initial consultation appointments with our expert staff, we will provide you with detailed information on dental implants cost, duration of treatment, and the results you can expect after your treatment plan is complete. This will allow you to make the most effective choice for your needs and your budget. If you are someone who needs dental implants, we are able to provide the resources you need for a healthy smile. What Is the Expected Lifespan of Dental Implants? For most patients, the expected lifespan of dental implants ranges between around 10 years to 50 years or more. This wide variance in useful life is primarily caused by differences in the condition of the mouth and teeth and stress caused by grinding teeth or injuries to the mouth. These factors can have a major impact on how long dental implants last. To learn more about dental implants and how they can improve your appearance and your ability to chew food effectively, call our offices today. We can provide you with the best and most affordable options in dental implants in our area.